Start saving today with our excellent prices and superior quality. Start saving now with your new energy-saving home projects. It’s Your Power…Run With It! Set up a complimentary solar consultation with a Sundog expert and get the information you need to make an informed decision. We will customize a solar panel system that is ideal for your home or business. Sundog Solar is a family owned and operated business. You will enjoy the personal service of the Sundog Solar team who want to establish strong relationships with customers throughout Maine. Sundog Solar offer the highest quality service, solar panels, and equipment in the industry. Our team of solar experts includes licensed electricians and NABCEP-certified installers. All of our solar installations and products are 100% guaranteed, and we are committed to your complete satisfaction. 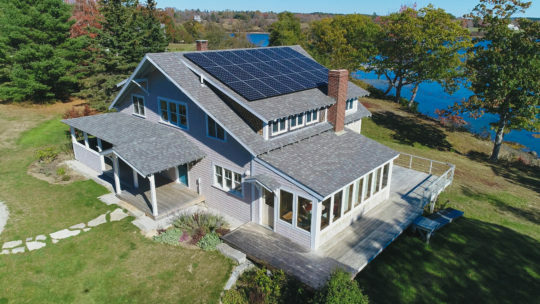 There’s a reason why Sundog Solar is one of Maine’s fastest growing solar installers! Solar is a wise investment that saves money for decades. Now that you are taking advantage of the free solar electricity on your property, you gain energy independence. Remember to claim your 30% federal tax credit and save thousands on your income taxes. Share your experience with friends in Bangor, Ellsworth, Rockland, Camden, Rockport, Brunswick, Portland, Augusta, Calais, and beyond to earn a referral bonus. Here’s what Sundog Solar customers are saying! "Working with Ed on the solar installation in Unity was both enjoyable and enlightening. That positive experience will help guide my daughter’s decision when the time comes to design/install a larger system for a future house on that property. Thank you and Ed for your efforts on her behalf." I’ve enjoyed almost 4 years now of trouble-free solar power, thanks to you! I’m very happy with the system. Our Sundog Solar 10kw system has been purring along for 2 1/2 years now with no problems and better generation than we expected. Chuck gave us the best pricing, best inverters and made it happen on time in extreme winter weather. They're the greatest value and the grand people. I retired from a company world renown for its customer service, so I guess my standards are pretty high when it comes to treating people right. We truly feel Sundog Solar came through for us in a way a top notch company would. ”We wanted to do something concrete about reducing our carbon footprint. Our experience with Sundog Solar was and continues to be beyond our expectations. The big surprise is that we have just gotten our February CMP bill and during that month we put over 100KWH more on the grid than we drew from it! So we now have power in the bank - already! This is far beyond our expectations for winter solar collection in Rockland, Maine. We're putting money in the savings bank and electricity in the power company bank." "While my wife was the skeptic, after two weeks of operation the system exceeded estimates and produced over 75% of our electrical usage as reflected in the electric bill. That was the end of the skepticism. We are looking forward to a zero electric bill in the future. We look forward to having the Sundog Solar crew return when we build our garage with an Off-Grid Solar system. We are very happy not to have to pay for our electricity. It is far more fun to generate our own!" "We're extremely happy with our systems performance. Just got our first full month's bill from CMP and it was $36. Last year's Feb. bill was $221. Couldn't be happier. Thank you Sundog!" "Thank you for our new heating and hot water systems. Thank you for telling us about the heat pumps in the first place. Thank you for your great customer service and flexibility." "Thanks so much for all your dedicated work to get our system up and running– I look forward to a walkthrough so I can be somewhat knowledgable about the system that is keeping me warm!" 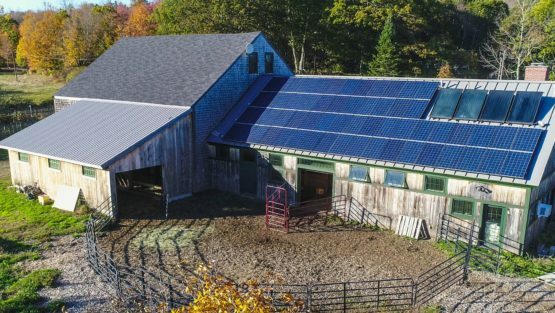 Why Invest in Solar PV in Maine? If you install solar, you can enjoy free electricity and protect yourself from rising energy costs! With the 30% federal tax credit and low solar panel prices, there has never been a better time to install a photovoltaic system. 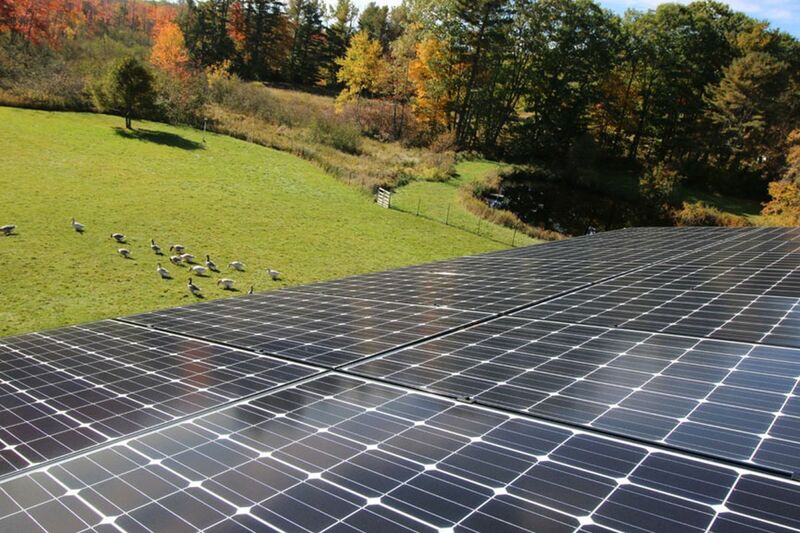 Earn a great return on your investment by installing solar on your Maine home or business! Why rent your energy every month when you can own it? 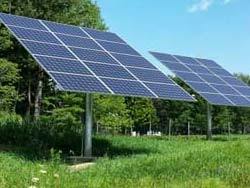 Reduce your dependence on foreign oil and energy price fluctuations with solar energy. Declare your energy independence now by installing solar panels with your local solar energy experts at Sundog Solar! You can even heat your home or business with solar energy by installing a mini-split heat pump. Renewable energy technology has a proven track-record. When you invest in alternative energy sources like solar, you’re investing in sustainability and the health of our shared planet. Do the right thing for yourself, your neighbors and future generations! 1 A kilowatt of solar electricity per day saves 2,000 lbs. of CO2 emissions annually! Contact us today to find out how you can start saving money.